Although urbanization steadily increases, many modern cities are finding the accommodation of their populations an increasingly difficult task. Planners and policy-makers battling to alleviate the problem with a host of urban renewal initiatives have made environmental issues and policies central to their quest for urban sustainability. 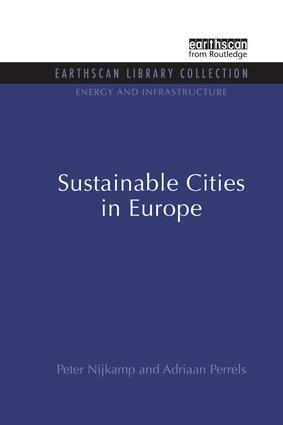 ;Drawing on the CITIES programme of the EC, this study describes the urban energy and environmental policies now available. Through detailed case studies of various European cities, it explains how to devise and implement strategies for urban growth and development.